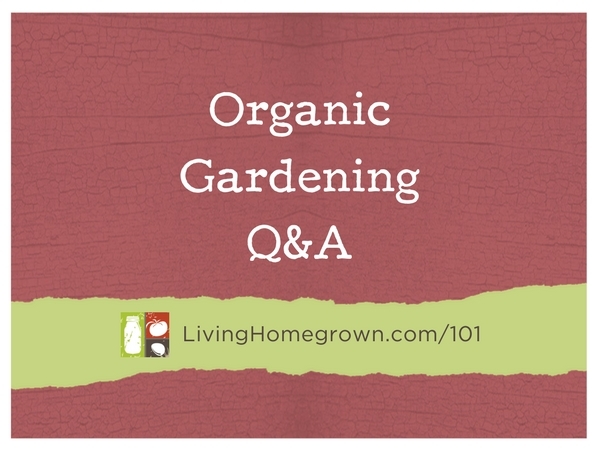 This week’s episode is a Q & A episode where I wrangled together several organic gardening questions and rattled off the answers. Theresa mentioned fish emulsion* in the podcast. You can use that or fish fertilizer which is hydrolyzed fish*. Hydrolyzed fish fertilizer is just like fish emulsion except that it uses a process that retains more of the micro nutrients and doesn’t smell as strong as regular fish emulsion. Hydrolyzed fish fertilizer is a little more expensive due to the process involved to make it, but both will work in your garden.